This paper examines methods of increasing the political participation of the Latino Community in Quincy, WA, specifically focusing on youth organizational involvement as a community mobilizer. Methods: Evaluating local conditions and understanding how those findings fit into broad themes and patterns. Interviews included those with local Latino community organizers (both official and unofficial), students, leaders and participants at the Democratic caucus, teachers, GEAR-UP personnel, town officials, the local Catholic priest, and participants in the local Women’s Justice Circle. Previous studies helped to set my research in Quincy in a larger context. This literature included that from the Whitman Politics class Voting Rights and Latinos in addition to studies and articles specifically addressing political mobilization through organizational and religious involvement, youth organizations, and the roles of education and community service in mobilization. In depth analysis of specific organizations and programs in Quincy such as GEAR UP, the high school and federal and state education and funding policies helped me gain a better understanding of how these programs functioned. Findings: Organizations form communities that overcome non-participation. A variety of communication barriers have led to a history of low participation in civic and political issues among Quincy Latinos. Demanding work schedules of many adults minimize the opportunities for participation and education. Involvement in activities and organizations already incorporated into daily life such as church, school programs, the health clinic, and community soccer form communities that are successful educators and mobilizers. The past GEAR UP Program was structured in such a way that it successfully provided education, activities that role-modeled political participation and provided a space for discussion and information dissemination for both parents and students. Additionally, the community service requirement at Quincy High School provides a pathway for effective civic and political education through real-life experiences for future participants. Recommendations: Focusing on youth participation as a starting point. A revision of GEAR UP program funding requirements is recommended so that the program can once again provide necessary community services, in addition to seeking funding from non-educational sources. Additionally, it is recommended that the Quincy High School community service requirement is amended in such a way that it provides for increased civic education and student ownership of projects. 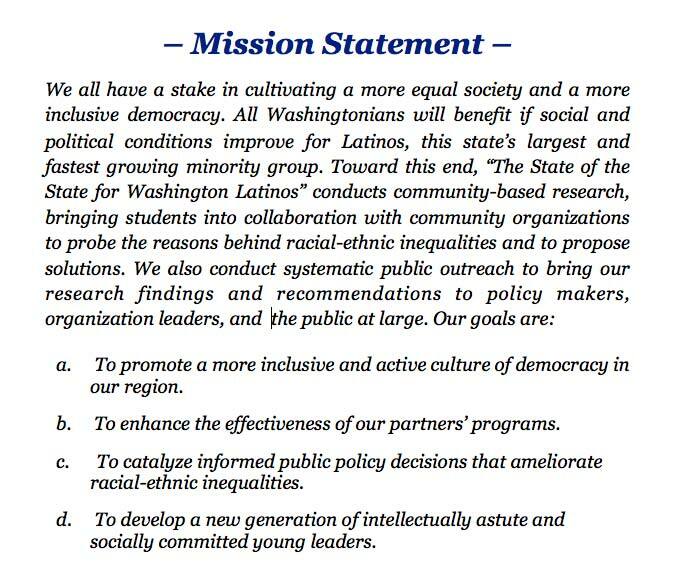 Finally, the report encourages the town to incorporate members of the Latino community into efforts to plan future outreach that can utilize pre-existing networks to help create a community of politically aware individuals.